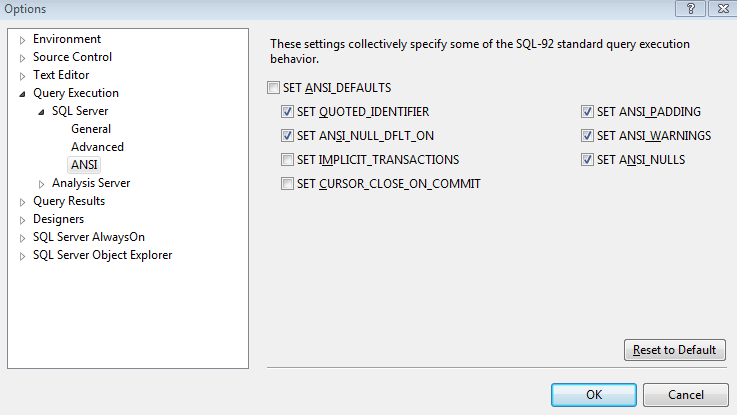 This entry was posted in SQL Server 2014, TSQL and tagged QUOTED_IDENTIFIER, sqlcmd. Bookmark the permalink. ← #SQLPASS #Summit14 Day 2 Keynote Highlights ! Useful post: it solve my problem immediately.